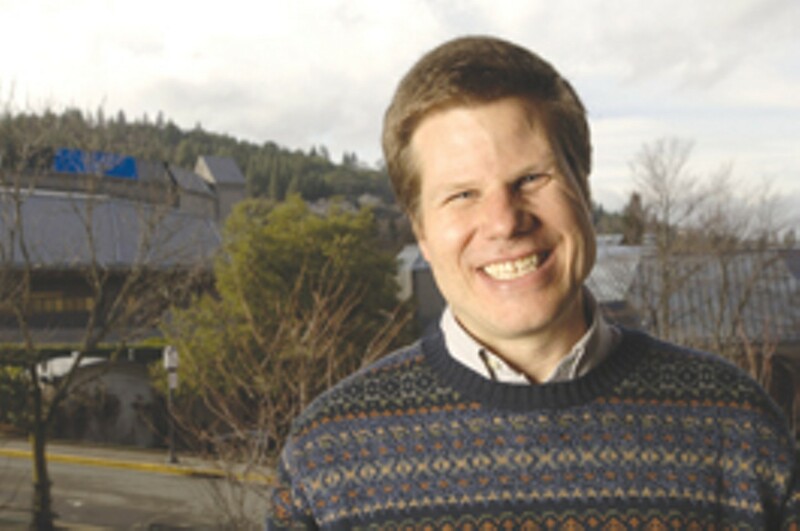 No Bland Bard: Bill Rauch opened Ashland's new season Feb. 15 ready to shake things up. My point of view about Shakespeare," says Bill Rauch, "is that—and maybe I'm a crazy person for saying this— I just want the artists who are interpreting the play to show me that there is risk being taken. I love risk. I don't want safe, comfortable, recognizable Shakespeare, at least not all the time. And that's pretty much how I feel about the art of theater in general." For the record, Bill Rauch is not a crazy person (not yet, anyway), but as a longtime stage director at some of the best and boldest stage companies in the country, he has proven that he is a risk-taker, one who enjoys working with other risk-takers as well. As the new artistic director of the 73-year-old Oregon Shakespeare Festival in Ashland, Rauch has already taken significant risks in the 12 months leading up to this opening month of his first full season in the captain's seat, which he takes over from the equally iconoclastic but increasingly predictable Libby Appel, who has retired after 11 years as artistic director. Since winning the appointment last year, Rauch has made significant changes in the festival's personnel, bringing on new faces while saying goodbye to a number of longtime staffers. He's taken a new direction in terms of the overall artistic environment, onstage and off, restructuring the organization of the company and how decisions are made. Most importantly, of course, Rauch has pushed the envelope in programming the current season of 11 plays, four of which opened in late February, with the rest opening gradually over the next several months. This year will see a number of new things on the three festival stages, including a grand new staging of Thornton Wilder's Our Town, marking the first time an American classic will be performed on the outdoor Elizabethan stage. There are a number of new plays, including Welcome Home, Jenny Sutter, a world premiere by Julie Marie Myatt, an imaginative drama about a returning Iraq soldier that will move, OSF cast intact, to New York's Kennedy Center later this year. Also new is the comedic Further Adventures of Hedda Gabler by Jeff Whitty (he wrote the Tony-winning Avenue Q), a play that Rauch directed an earlier draft of two years ago at Southern California's South Coast Repertory theater, and which he'll be directing again this year. Though it happens to be the oldest, perhaps the freshest thing onstage this year is the Sanskrit epic The Clay Cart, which marks OSF's first presentation of a classic from the non-Western world. Directed by Rauch, it's the play that launches the new season. As for works by Mr. Shakespeare, Rauch has programmed a balance of rarely performed plays and beloved crowd pleasers (we said he wasn't crazy), including the just-opened Midsummer Night's Dream (with A Comedy of Errors and Othello in the summer), and the bloody and brooding Coriolanus (which opens next month). About this new season, Rauch says, "One of the things I'm most excited about is that we do a combination of classics and new work, and so to be able to invite so many of the writers that I've worked with over the years to create work for Ashland or to do existing plays of theirs here is very exciting to me." Coriolanus is a play that is rarely performed, partly because of the intensity of its themes: war, political duplicity, inanity in leadership. "Coriolanus is one of my favorites," Rauch says. "It's such a constantly relevant play, especially right now. It feels very important. I'm really interested, every time we approach a Shakespeare play, in treating them like a brand-new play, a world premiere. I think that's essential. I want to hire artists to interpret these plays who feel the same way. "I do have a commitment to doing the whole Shakespearean canon," Rauch adds. "Given that Shakespeare is our middle name and given that we do an average of four Shakespeare plays a year, I think that one of the things that's exciting is that we can tackle not only the plays that are crowd pleasers—the plays that people love to see over and over again—but also to tackle the more difficult texts. That's really important to me." Does this mean that productions of Shakepeare's long-absent Cymbeline, Timon of Athens and Henry VIII are not out of the question for the near future? "Why not?" Rauch says. "I believe that, on one level, we all want to be comforted by what's familiar. But I've also realized that, ultimately, people come to OSF for more than comfort. "Beginning this year, I plan to start offering a lot of surprises." For information on the 2008 Oregon Shakespeare Festival, go to [ http://www.osfashland.org ]www.osfashland.org. Over the years, a hefty number of North Bay performers have emigrated north to strut their actorly stuff on the multiple stages of the Oregon Shakespeare Festival in Ashland. But not everyone is interested in being onstage, and there have been just as many, if not more, who've joined the ranks of the OSF as part of the vast backstage crew and support staff. "There are a lot of us up here," agrees set builder Elib Crist-Dwyer, formerly of Healdsburg, now a full-time scenic carpenter with the OSF. His first taste of the Oregon Shakespeare Festival came courtesy of a Healdsburg High School field trip, during which Crist-Dwyer dreamed of someday being the guy who raises the flag before every outdoor performance. A dozen years later—following a long stint building exhibits and creating educational theater programs for major museums—he has joined OSF's mighty team of scenic carpenters. He's worked on sets for the current season since September, helping to construct an enormous green foot for The Clay Cart, set in India; an urban "forest" for A Midsummer Night's Dream; and the detailed, multilayered backyard set of August Wilson's Fences. Recently, he's been building stair units for April's upcoming production of Shakespeare's sweeping Coriolanus. While happy to be a behind-the-scenes player in an organization as massive and far-reaching as OSF, Crist-Dwyer hopes to someday ease into the company's expansive education operation. "That's my real passion, and it's one I share with the OSF—using theater as a way to teach people about the world," he says. Former Occidental resident Patrick Devon graduated from Analy High School and participated for several years in SRJC's annual Summer Repertory Theater program, where he honed his craft in the '80s as a dresser. It's a skill he has since practiced with companies from San Francisco to England, where he worked in the wardrobe department of the renowned Royal Shakespeare Company. He's been with OSF for three years. "Basically, I dress naked people," he says. "Also, a lot of being a dresser here is about protecting the actors from all the forces that might want to distract them from the performance at hand, people sending notes backstage and that kind of thing. We're part costumer and part gatekeeper." This year, Devon is working The Clay Cart and A Midsummer Night's Dream, each of which has several rapid costume changes. "Everything is choreographed," Devon says, "down to who moves left when someone moves right. Sometimes we only have 70 seconds to completely change a costume. It takes a lot of practice to get it right." An aspiring playwright, Devon was drawn to the OSF in part because of the company's legendary support of its members' extracurricular activities. In Devon's case, he's been able to stage his plays at special midnight showings, using first-rate actors from OSF's stable of performers, drawing audiences from within the company and the surrounding community. His best-received play, Peaseblossom, is a comic romp telling the story of A Midsummer Night's Dream from the point of view of the fairies "Getting to do my plays here is huge," he says. "I'm fortunate to work with a company that supports its people so well." That's how June Cummings feels. After 20 years living in San Anselmo, Cummings and her husband moved up to Ashland three years ago, and she now works as an IT hardware technician, keeping all of OSF's 280 computers and printers running, while also running cables for the various show's sets and computerized equipment. "I've crawled through every inch of every theater and office in this place, from the basements to the ceilings," she laughs. "I'm literally all over the place." Her favorite perk is being able to bring her dogs to work, where OSF has built an indoor dog run so the puppies stay happy. "It's wonderful here," Cummings says. "And my job is great because it's all about fixing things that need to be fixed. I'm not an actor, but this gives me my little bit of fame, because everyone appreciates the hardware technician. It's really fun to always be the hero."